Welcome to BootCraft’s June update! Last month was a fantastic month on BootCraft with 85 new sign ups which put the total number of active members over 500. It turns out that the tool I really wanted and needed as a bootcamp trainer is what many other trainers are looking for too. This month we’ll hit another milestone too with the number of drills available. While most ebooks have between 10 and 50 drills and ideas for you, this month BootCraft will hit 200! I’ve done my best to keep them fresh and interesting. Thank you to community members Jacob Bedard, Nadinne Wilkinson, Lori Watson, Roxanne Walbancke and Rosie Goldsmith who have helped contribute to that total so far. This month I am adding some drills lost in the Bootcamp Ideas archives, some favourites from the WORKOUTS pack and some previously unseen workouts from my archives. As in the word docs I used to plan and track the workouts I was doing at my bootcamp. I’m still finding treasures in them! 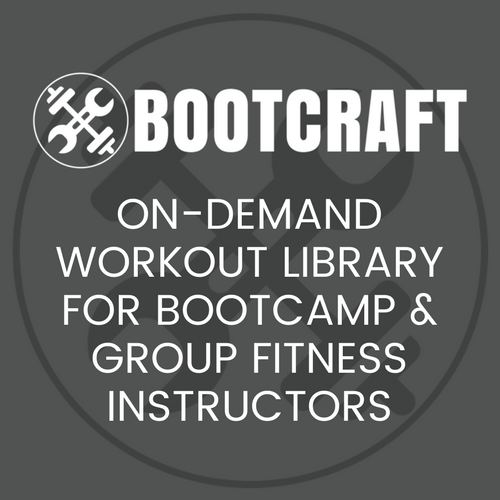 BootCraft lets trainers filter through dozens of tested workout drills, warm ups and finisher with the click of a few buttons. New drills are added weekly.